During your visit to Elite for Flip For a Cure we will be fundraising for Pink Promises an organization that raises funds to benefit The Breast Cancer Research Foundation (BCRF) (www.pinkpromises.org) Pink Promises donates 100% of the funds we raise directly to The Breast Cancer Research Foundation (BCRF) www.bcrfcure.org. It is so important that research can be done to cure this disease. Together we can make a difference. 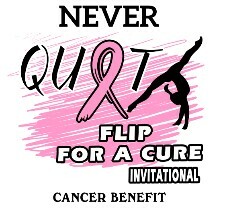 “I Flipped for a Cure” T-shirts and other pink ribbon themed merchandise will be on sale. A percentage of the sales benefit breast cancer research. Gift basket raffle tickets! Every year we raffle off baskets. The winners will be picked 4/7, you do not need to be present to win. 100% of raffle proceeds are donated to Breast Cancer Research. 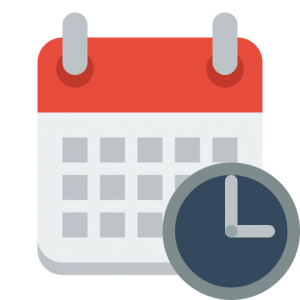 As with all meets, there will be admission to gain entry to the competition session. $15/adult, $10/child (under 12), Children under 3 and participating athletes are free. Strollers are NOT permitted – if you insist you will be required to pay adult rate for each child in the stroller. It is hard enough for our volunteers with the long hours over the weekend…please do not give them a hard time at the admission table.